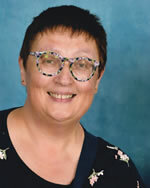 Often described as refreshing, passionate and humourous, Jenny Thompson is an itinerant speaker and a passionate, gifted teacher. With a passion to see individuals become everything that God wants them to be, she travels extensively across the UK, speaking at churches, conferences, Alpha seminars, ladies events and weekend retreats. If you want to receive the latest monthly newsletter and schedule information from us, please send us your email address and we’ll add you to our database.